All sizes made to order CURRENT TURN AROUND - 1-2 weeks. 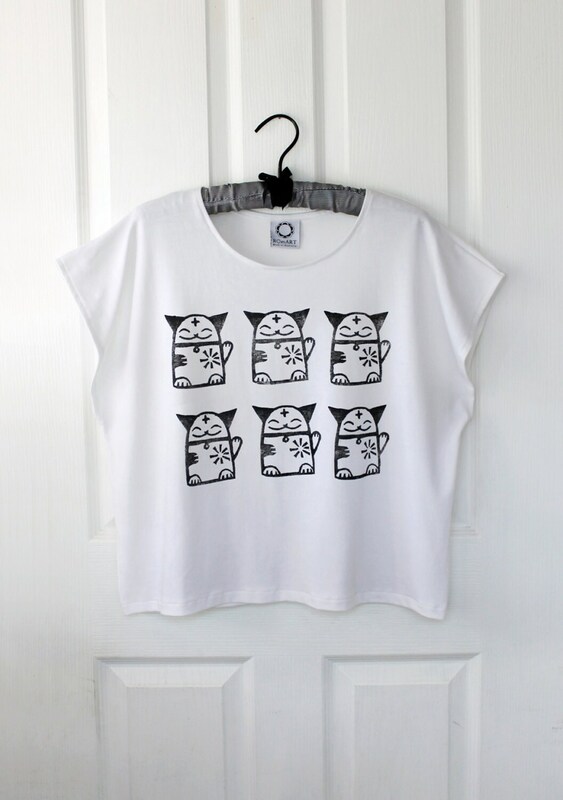 Hand made, hand printed oversized boxy tee made from soft white jersey. My own original Maneki Neko, lucky cat print - the Japanese lucky charm for good luck and prosperity, has been block printed onto the front. Imperfections are characteristic, some parts lighter or more textured than others, but this only adds to the garments uniqueness and individuality. 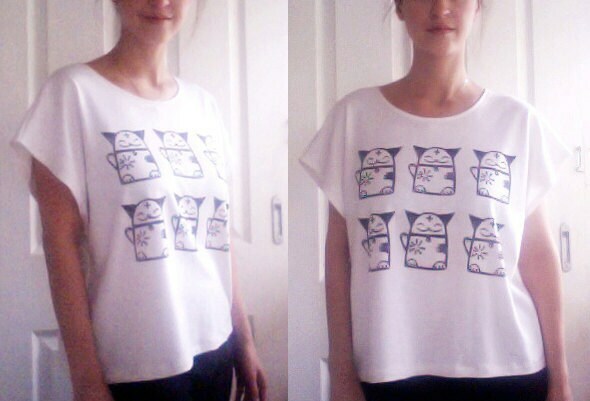 Please note that as these are hand printed tees, each one will be slightly different to the next yet. Colours also may vary slightly to screen depiction.